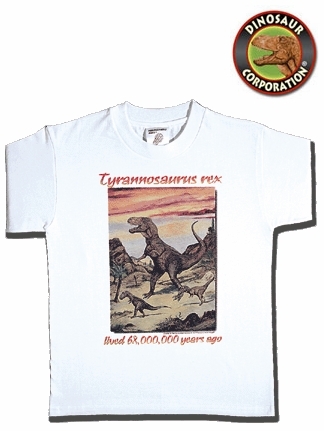 Best known of the dinosaurs, Tyrannosaurus rex was one of the most awesome creatures that have walked on the earth. Tyrannosaurus rex was one of the largest meat - eating dinosaurs, having a skull up to 5ft long and many sharp teeth reaching lengths of 6in (15cm). The first complete Tyrannosaurus rex dinosaur skeleton was discovered in 1902, and many great examples have been unearthed over the last fifteen years. RANGE - USA Colorado, Montana, N. Dakota, New Mexico, Wyoming. DIET - Cretaceous dinosaur Tyrannosaurus rex was a carnivore, especially fond of large herbivorous dinosaurs.